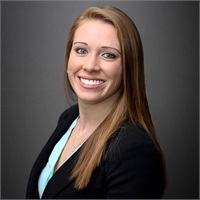 Kayla joined Barnum Financial Group in 2016. She takes a consultative approach to working with you, taking the time to develop a thorough understanding of who you are and what matters most to you. Based on your personal situation and your priorities, Kayla will help you develop a strategy to preserve and grow your assets to help fulfill your vision of your financial future. Her commitment is to provide quality service and support to her clients. Kayla is licensed to sell Life, Accident and Health insurance and also holds her Series 6 and 63 licenses. She earned her Bachelor's degree in financial services at Bryant University and was awarded the "Leadership in Financial Services" from Bryant University. Outside of work, Kayla enjoys photography, traveling and playing tennis.